Golden Poppy, a.k.a. 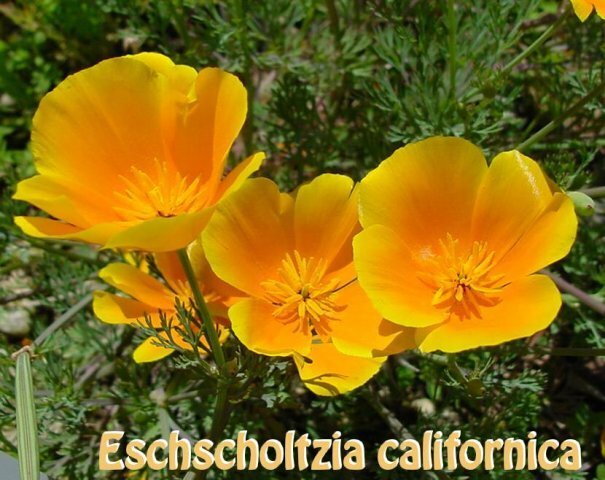 California Poppy, California Sunlight) is a species of annual and perennial flowering plant in the Poppy family (Papaveraceae) and native to the United states and Mexico. 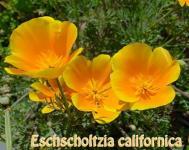 It is also the state flower of California. Golden Poppy can grow to a height of about 60 cm (24in) with alternately branching blue-green foliage and yellow to orange petals on long stems. Bio-active ingredients found in Golden Poppy include alkaloids like Protopin, Cryptopin and Chelidonin which all have sedating and sleep promoting properties; they are not narcotics, but rather have a balancing effect on the nervous system and this are excellent for treatment of nervous disorders and stress symptoms. Golden Poppy is an excellent herbal remedy for excited children or children with difficulty sleeping. The plant is also recommended for treatment of bed wetting and neuropathy (disease or dysfunction of peripheral nerves, typically causing numbness or weakness) as well as spasms and anxiety. It is often combined with Passion flower (Passiflora), Lemon Balm (Melissa officinalis) or Valerian (Valeriana officinalis). Despite its close botanical relation to Opium Poppy (Papaver somniferum) it has entirely different properties, as it is not a narcotic, impacting the nervous system in different ways. Golden Poppy has a balancing effect on the nervous system and may soothe pain and cramps. It is a valuable complementary remedy in the treatment of a wide range of physical and psychological disorders in children. History: American Indians traditionally used Golden Poppy for treatment of sleep disorders and pain. Note: Do not use before surgery, as it may compromise anesthetics.